A new ability to easily and intuitively control unmanned systems from the cockpit of a manned tactical aircraft has been recently demonstrated. Textron Systems, together with Textron Aviation Defence, has successfully integrated and demonstrated the company’s manned-unmanned teaming capability. During the demonstration, the team integrated the company’s Synturian multi-domain control and collaboration software into the cockpit mission computer of the Scorpion light-attack jet. The team simulated a Nightwarden tactical unmanned aircraft system (UAS) and an Aerosonde small UAS, which featured flight acquisition and control of the simulated air vehicles and sensors. The aircrew of the Scorpion jet used Synturian software to establish flight route waypoints and surveillance orbits, steer the sensor, and change the unmanned aircraft heading, airspeed and altitude. This enabled the simulated unmanned aircraft to operate without any further aircrew interaction. 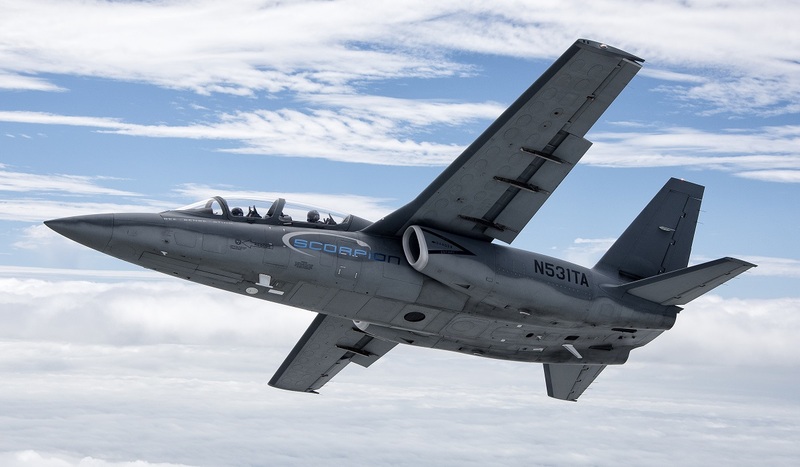 Designed and developed with advanced technologies, the Scorpion tactical aircraft has the ability to carry out intelligence, surveillance and reconnaissance, maritime and border patrol, and jet training operations, according to airforce-technology.com.